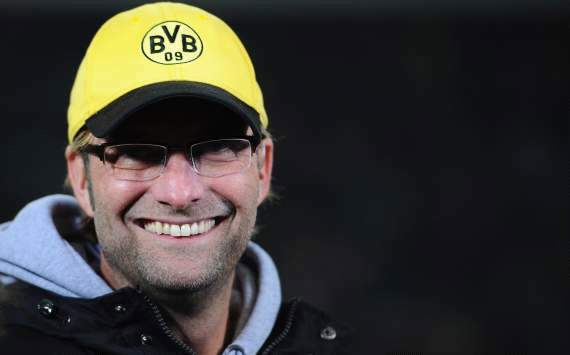 Borussia Dortmund coach Jurgen Klopp, says the club is done with transfers this summer, and will make no further signings. Marco Reus, Julian Schieber, Leonardo Bittencourt and Oliver Kirch have already arrived at the German champions and Klopp is satisfied with the acquisitions. “Have we got any other signings planned? No, as things stand we’ll be going into the new season with the current squad,” Klopp told Uefa.com. Looking forward to the new season, Klopp, who has lost Shinji Kagawa to Manchester United, insisted that Bayern Munich are the favourites to win the Bundesliga, saying they will be content with a place in the next Champions League competition. “Bayern have another great opportunity to finish top this season. There are a few other teams who stand a chance of winning it, such as ourselves, Schalke, Leverkusen or Stuttgart. Dortmund begin the new season, at home to Werder Bremen on August 24.